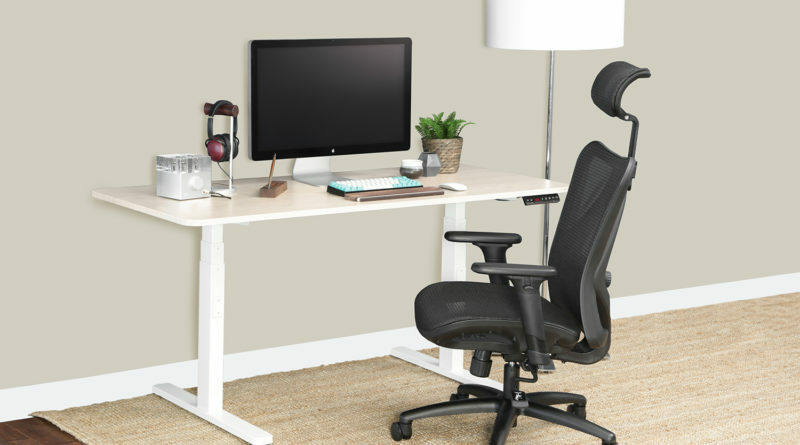 After a complete success in Massdrop’s previous Lift Sit-to-Stand desk, this modern version incorporates efficient dual motors along with the high-grade three-stage telescoping frame for smoother and quicker height changes. The MassDrop Lift 2.0 is an exceptionally sturdy and uniquely elegant customizable desk that surely complements your office or home decor. This sit-to-stand desk benefits in speed, convenience, and performance as compared to its previous version. 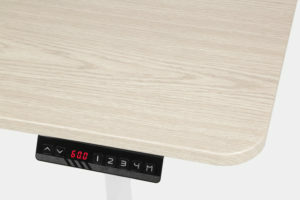 Unlike the last version of Massdrop Lift Sit-to-Stand Desk that had three memory modes, this high-end desk features four built-in memory modes, making it stand out from other sit-to-stand desks of its kind. This professional sit-to-stand desk is available in many styles to complement your home or office decor. As compared to the previous version that had a weight capacity of 180 pounds and height adjustment of about 19 inches, the 2.0 withstands a maximum weight of 256 pounds and can be adjusted through a 26 inch range. And, depending on how much desk you need, you can either go for the 48-inch or 60-inch desktop width. Before we go on, let’s spend a moment discussing the Massdrop model. Massdrop sets itself apart on products by focusing on incorporating community member input and feedback while developing products. Then, once a product is well designed to meet the needs of the community it moves to preorders and then production. This approach allows great products to be designed and delivered at less than other business models. If you’re not familiar with Massdrop, take a few minutes to check out the community and get to know how it works. Sit-to-stand desks are thriving all around the world to be used in offices and workspaces. Sit-to-stand desks offer great physical as well as mental health throughout the working session. It relieves people of continuous stress from sitting or standing that further leads to risks of cancer, diabetes, and cardiovascular disease. Another big reason for their enormous use is they burn calories and ensures great fitness. The Massdrop Lift 2.0 Sit-to-Stand Desk can be used for both office and home. Its unique design and great customization let this desk blend into every environment easily while complementing the decor. Whether you’re an office owner or a freelancer who is looking forward to finding the best yet comfortable desk for daily use, Lift 2.0 is certainly the best choice. You can always adjust the height according to the requirement that doesn’t let you slouch or look down. 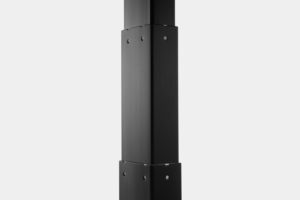 The dual motors and three-stage telescoping frame are what makes the Massdrop Lift 2.0 Sit-to-Stand superior to its previous version. This sit-to-stand desk automatically adjusts the pre-programmed height from the control panel screen according to your requirement. You can also adjust the height by pressing and releasing the same buttons on the control panel screen. Irrespective of your height, this desk can be easily customized to any standing or sitting position with its four built-in memory settings. This desk comes in two variants i.e. 48-inch and 60-inch that provides an extensive space for all your inventory, keyboard, monitor, and other stationary items. Let’s have a look at key features of this recommended sit-to-stand desk. The package comes with a user manual, 2-year manufacturer’s warranty, and a power cord. The price of Massdrop Life 2.0 Sit-to-Stand desk with a 48-inch desktop is $349.00 which launches opens for orders on March 16. The larger 60-inch option is an additional $100 or just pick a motorized frame without a desk surface for $299. 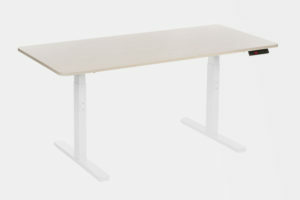 Compared to other full size adjustable electric desk this model has a lower price for the same features. At the $349 launch price it beats the Flexispot Premium Desk and Varidesk ProDesk 60 Electric in price, height range, and capacity. Massdrop has always provided its customers with the efficient office as well home furniture with amazing features, excellent durability, and versatility. It has always presented excellent products at the best prices possible. The business model is exceptional and allows the team to bring excellent products at excellent prices with predictable delivery. 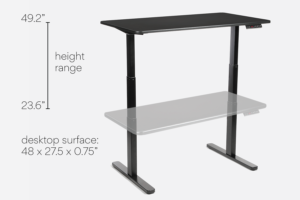 The Massdrop Lift 2.0 Sit-to-Stand Desk was the second desk of its kind by Massdrop with additional features as compared to the last version. This sit-stand desk is available for pre-order from March 16 to April 4 with an expected delivery date of July 25th, 2018.